It’s the G6885 SCVi k20 am! Believe me this isn’t a joke! 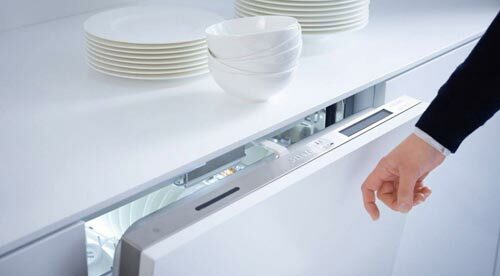 Introducing Miele’s newest in the line of award winning dishwashers, the G6885 SCVi k20 am. Keeping in character with the European minimalistic philosophy, this dishwasher requires only 2 knocks from you to automatically open. 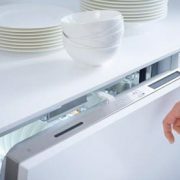 This dishwasher also includes features that make Miele the world’s leader in dishwashers. Automatic half load sensor, original flatware tray on top, superior washing results, ever so quiet, and clean air-drying technology by the intake of room air from a side intake system within the unit. This unit makes a fantastic addition to any kitchen. https://www.thehalldesigngroup.com/wp-content/uploads/2018/04/Dishwasher.jpg 276 500 John Hall https://www.thehalldesigngroup.com/wp-content/uploads/2016/11/hall-logo158.png John Hall2018-04-20 12:00:252018-05-21 14:00:32Knock Knock - Who's There?